I remember hearing an interview with David Gates of Bread who said that Kaanapali Beach was his favorite place in Hawaii. We had to go here and see what all the interest was. The pictures, as they say, don’t do justice, and you can come here a dozen times and see something new. Kaanapali is truly magical – from ancient Hawaii ways to the new found visitors and residents that have decided to make Hawaii their home. And who wouldn’t want to move here? The weather is almost perfect, and there is so much beach and in so many hues, it is amazing that more isn’t written about this area of Maui. The major resort hotels have been here a while and know how to help you experience and wonderful stay on this island. Ask them about any area you want to see or explore. Because of its prime location, Kaanapali Beach is lined with upscale resort hotels, but don’t let that keep you from going. Those guys built there for a reason. 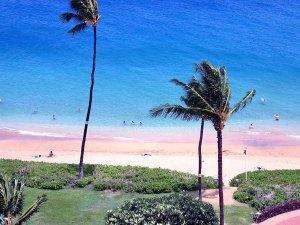 Kaanapali Beach is the most breathtaking beach in the island chain. This three mile spectacle goes by different names – so write these down before you head out. Keke’a Beach, Canoe Beach, Dig Me Beach, Kahekili Beach, Black Rock Beach and Hanakaoo Beach. It’s like traveling through a big city and the street changes names depending on what neighborhood you’re in. A large lava rock (the Black Rock) divides the beach. Whatever your whim in beaches, you’ll find it here. 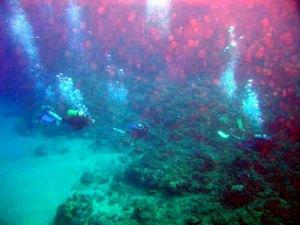 The snorkeling and scuba diving are absolutely the best on Maui. Swimming and sunbathing are ideal. Boat tours, fishing, kayaking, sailing, and my favorite – people watching, are just a few of the many activities. So what you give up in isolation you make up FUN! And if you’re the one in your party who can’t spend an entire day at the beach, dozens of shops and wonderful restaurants are within walking distance. Here, a group of scuba divers start out near the famous Black Rock. The water is so clear, divers often describe it as floating in air. The variety and color of fish is second to none. The waters of the Pacific Ocean have the most awesome specimens. 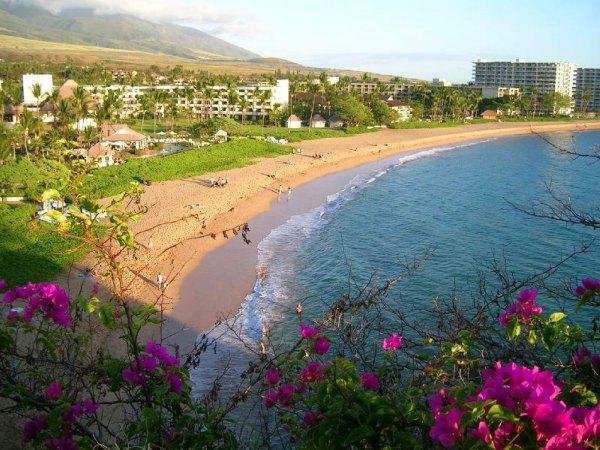 It’s no wonder they call it the best beach of the Hawaiian Islands – Maui’s Kaanapali Beach.